Welcome to the world of sunshine, we are Leo and Sinead two good friends with a love of Soul Music. Old and New, we will start off with some classics but will be playing you some more contemporary, neo-soul and Nu-Jazz in our shows. Unlock your ears to some sensual, exciting and sometimes steamy tunes that will get ya feelin' good. 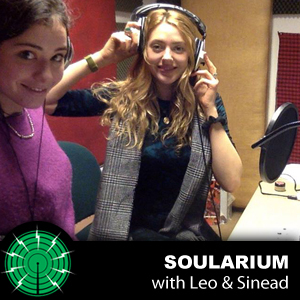 Soularium 1: Women's Week by Soas Radio on Mixcloud Starting the first two shows with some popular songs that you probably have heard of just to give a glimpse of what we are about. This week is mainly old and classic soul songs featuring the wonderful voices of empowered women. Enjoy!